The Kizer Hustler offers a substantial design from knife-maker Matt Cuchiara. This heavy duty knife features a wide drop point blade made from CPM-S35VN steel. Two titanium handle scales provide a solid framework for the blade and a clean, classic appearance. 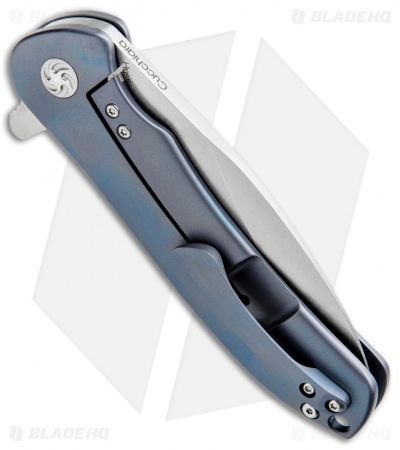 The Hustler is equipped with a smooth ball-bearing pivot system and a blade flipper for quick and reliable deployment. 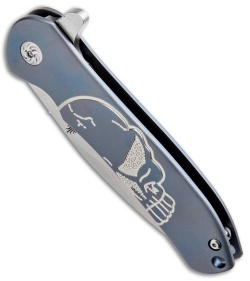 A frame lock, custom pivot, and a tip-up carry pocket clip finish off the design. 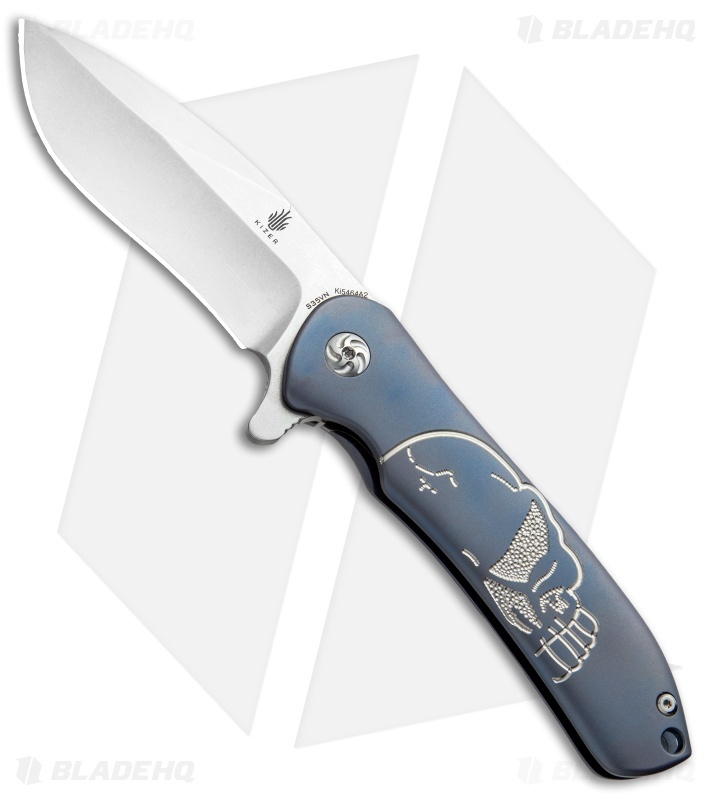 This version of the Hustler features a stonewashed blade and a blue titanium handle with an etched skull design. This knife is solid and well built. The action is smooth and the blade is perfectly centered.